At the heart of any advanced automation system, slip ring electrical connectors play an important role in enabling the seamless transmission of electrical current or signal from some stationary unit to a rotating unit. The electrical slip ring units are utilized for any type of machinery that comes with a rotating device and requires effective data connectivity and power. Therefore, the electrical slip rings are known to have a significant impact on the overall reliability, performance, and operation of the given equipment. The slip ring electrical connectors could be specified towards meeting a wide range of specific customer requirements –ranging from communication protocols to electrical power, operating temperatures, shock requirements, and mechanical vibrations. The given set of electromechanical devices might be utilized in a wide range of industry-specific applications including wind turbines, semiconductor production device, directional drilling appliances, industrial automation devices, and even robotics. In the recent years, the high-end sensors have moved forward with adopting the utilization of slip rings electrical connectors on a wide scale. These devices are being used immensely across a wide range of industrial applications that are driven by IoT (Internet of Things) and other high-end applications –wherein huge amounts of data need to be collected & transferred between the connected devices. The connected devices help in enhancing the overall success of the respective businesses by improving productivity as well as efficiency by enabling the real-time control and monitoring. The overall connectivity trend that exists within the industrial automation domain tends to be driving significant changes at the component level. 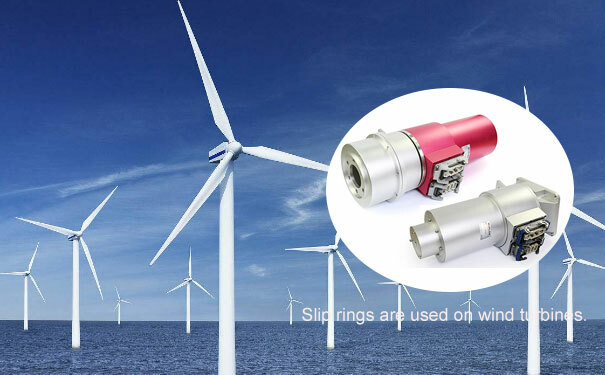 In particular, the slip rings products for the purposes of data connectivity and power generation. While it might be all about automation, whether it is a traditional or industrial environment involving some high-end applications, the IIoT (Industrial Internet of Things) trend tends to be driving the need for the utilization of slip rings. With this, the industrial applications can ensure that the given slip ring unit is able to meet the specific requirements for higher transmission rate along with higher bandwidths specifications along with accelerated data protocols including Ethernet. The increasing demand also helps in translating into the needs of designing & manufacturing highly useful slip rings that are able to handle both digital signals as well as electrical power signals. 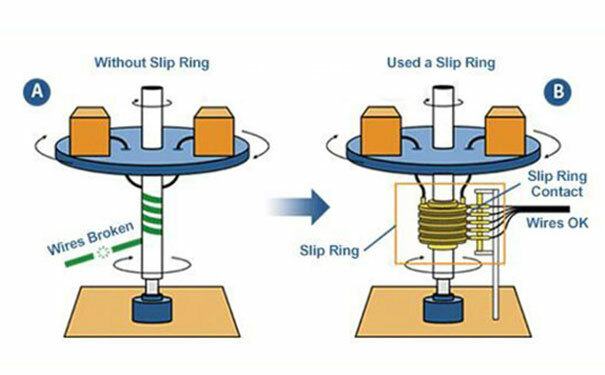 The slip rings must also be able to provide higher data integrity through the utilization of advanced EMI & RF techniques. The overall demand for smart manufacturing is expected to increase substantially in the coming times. The overall market that is currently available for electronics equipment that could be easily connected to the IoT applications is predicted to surpass $930 billion by the time of 2021, as per a recent study. Thus, the overall development of the slip ring electrical connectors is also expected to be on the rise in the coming times. Pri: Factors Determining The Cost Of A Slip Ring Next What Kind of Material Makes A Perfect Slip Ring?